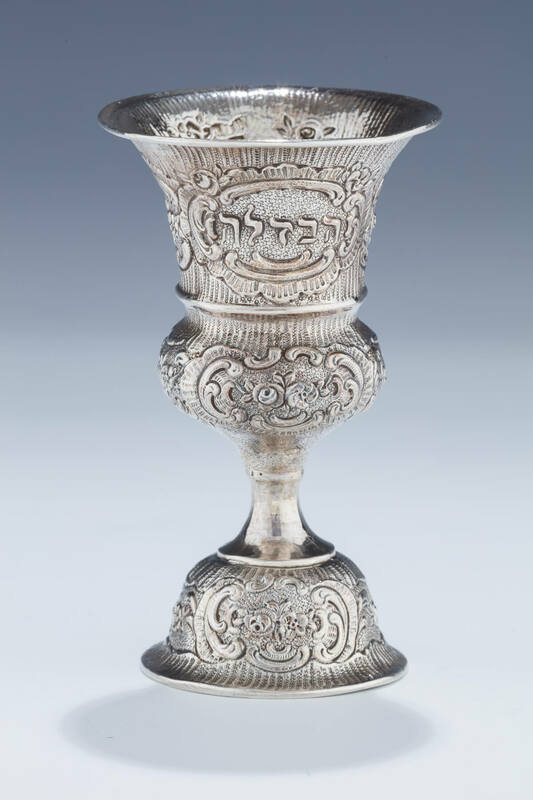 A SILVER HAVDALAH GOBLET. Germany, c. 1890. On round base. Body decorated with scrolling and floral designs. Embossed with the word “Havdalah”. 4.7” tall.